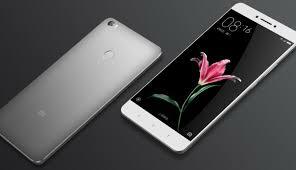 The upcoming smartphone of handset maker Xiaomi Mi Mi 3 will be launched in October this year. However, the report that was released some time ago was indicating that Mi Mix 3 could be launched on September 15. Shaomi has confirmed the release date of his next handset. Xiaomi has also released a teaser. Looking at this teaser, it has come to know that the Mix 3 smartphone will be a non-touchless handset, without a bezel design. This smartphone of Xiaomi can have the sliding camera on Oppo Find X. The company has started the trend of giving a Bezel Lace Display to the Mimic series smartphone. But this time, the company can give a sliding camera while walking in the footsteps of Oppo. Xiaomi President Lin Bin has posted a teaser image on the Chinese microblogging site Weibo. This teaser image shows that the camera in Mi Mix 3 is hidden behind the Bezel Lace Display. From this post, it is also confirmed that the Mi Mix 3 will be launched in October. So much official information has not been found yet with Mi Mix 3. There is speculation that this handset will be equipped with Samsung Quad HD + AMOLED display which will be equipped with COP packaging technology. Qualcomm Snapdragon 845 chipsets will be used for speed and multitasking. A 20-megapixel front camera can be given for selfie and video calling. According to the report, the standard edition of Mi Mix 3 is priced at $ 510 (about Rs 35,100). At this price, you will get 6 GB RAM / 64GB inbuilt storage variants. At the same time, its ceramic editions could be worth 660 dollars (about Rs 45,400). Standard editions equipped with 6 GB and 128 GB storage will be priced at $ 555 (about Rs 38,200) and the ceramic edition of this variant will come in $ 705 (about Rs 48,500). Standard Edition 8GB and 128 GB storage variants will cost $ 600 (approximately Rs 41,300) and its Ceramic Edition costs $ 750 (about Rs 51,600). 8 GB of standard editions and 256 GB storage variants will cost $ 645 (about Rs 44,400) and its ceramic editions variants will cost $ 795 (about Rs 54,700).